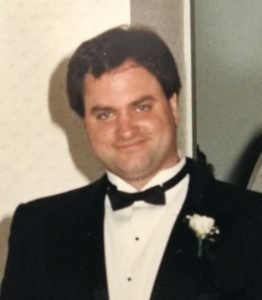 Joseph Kelly D’Amore, 59, of Acton, MA, son of M. Sarah (McFadden) and Robert E. D’Amore succumbed Thursday afternoon, February 21, 2019 at the LifeCare of Acton facility following a ten-year battle with cancer and collateral complications. Joe is survived by his parents, his step mother Christine, his daughter Renee D’Amore of Wellesley and granddaughter Genevieve D’Amore, sisters Catherine D’Amore and Donna D’Amore of Allentown, PA., along with many cousins. Joe spent his early years in Bad Kreuznach, Germany as an “Army Brat” before settling in the Acton area. Joe graduated from Acton/Boxborough high school, was class salutatorian at Proctor Academy, Andover, NH where he starred in three sports, matriculated and played football at UNH, and earned Math and Computer Science degrees from Salem State University. As a college student he also worked for Don Law Entertainment as a security specialist. Joe worked as a software engineer for several companies before founding his own consulting firm which specialized in machine shop computer coding and CAD-CAM programming. He was the primary software engineer in the development of a revolutionary automatic CAD-CAM design/engineering program for Sonoco Products Co. and was a preferred consultant to Digital Equipment Corp. Joe enjoyed dirt bike racing and hi-speed motor boating. He was a Little League and Pop Warner standout and excelled at football, lacrosse, hockey, boxing and wrestling. He also was crew chief for his dad’s race cars until his illness. In 1985 Joe was featured in a two page spread by the Lowell Sun for his Golden Gloves upset knockout of the tournament’s super-heavy weight favorite. His opponent was so devastating that tourney officials would not tell Joe whom he was fighting until minutes before the bout, fearing that Joe would forfeit. Upon learning his opponent’s identity Joe smiled, climbed up into the ring and knocked “Goliath” out early in the second round. Joe suffered from stage four oral cancer and was given less than a month to live in 2009. Ever the fighter he held off the inevitable for nearly a decade taking on each new setback with incredible courage and determination. His spirit and positive approach have been an inspiration to his family, friends and caregivers. 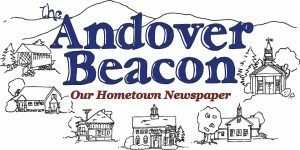 Visiting hours and a service were held March 2 at the Acton Funeral Home, Acton, MA. Flowers are greatly appreciated, or those who wish may make memorial donations in Joe’s name to a favorite charity or organization. Memorial page actonfuneralhome.com.